When a wealthy man is threatened by a killer known as The Gorilla, he hires the Ritz Brothers to investigate. A real escaped gorilla shows up at the mansion just as the investigators arrive. Q: What is the title of the book that von Niemann was reading? Though not a horror film in the traditional sense, this creepy little film delivers the goods. It seems a vampire is loose in a small German town draining its victims of their blood. Police Inspector Karl Brettschneider, Melvyn Douglas in one of his early roles, is skeptical believing a crazed killer not a vampire is running amok. 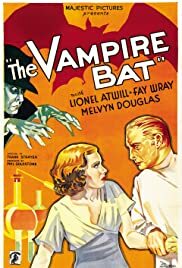 The only one who believes him is Ruth Bertin (Faye Wray) the inspector's girlfriend and lab assistant to Dr. Otto von Niemann (Lionel Atwill) who though apparently an eminent scientist goes along with the vampire theory. The townspeople suspect the weirdo Herman Gleib, played with his usual frenzy by Dwight Frye who seems to be having a lot of fun with his role. The film contains quite a bit of humor which helps relieve some of the intensity involved with all the murders being committed. One funny part has Gussie Schnappmann (Maude Eburne), Ruth Bertin's aunt, thinking weird Herman has turned not into a bat but into a dog. Maude Eburne and Dwight Frye make a good comedy team. This budget movie brings in elements from "The Cabinet of Dr. Caligari" with Dr. Niemann using the power of suggestion to make a somnambulist carry out his orders, from "Frankenstein" by using the human blood to help create life in the laboratory, and "Dracula" since the murders are believed by everyone except the inspector and his girl to be the work of a bloodsucker. Thses elements are mixed well by director Frank R. Strayer with a little comedy thrown in for good measure. The concoction works. The restored version I viewed used tinting to increase the spooky atmosphere. So try to see the this version if possible.